Daniel W. Dunbar is a trial attorney with Panish Shea & Boyle LLP and has obtained hundreds of millions of dollars in verdicts and settlements on behalf of plaintiffs in catastrophic personal injury, wrongful death, product liability and pharmaceutical cases. Over the course of his 30 year career, he has personally represented over 5,000 clients involved in personal injury claims, including 1,100 women injured by the Dalkon Shield intrauterine device. He is recognized among his peers as a tenacious and compassionate attorney, dedicated to obtaining justice for clients who are often dealing with a life-altering injury, death of a family member of other challenges caused by the wrongful act of another. In October 2018, Mr. Dunbar and his trial team obtained a landmark $41,864,102 jury verdict and subsequent $46,000,000 settlement in a case involving a United States Air Force Captain who suffered catastrophic injuries after being struck from behind while on his motorcycle and then dragged the length of a football field and a half by a Southern California Gas Company truck. The parties agreed to a settlement of the case following the punitive damages phase of the trial, but prior to the jury’s verdict on those damages being announced. Additional settlements obtained by Mr. Dunbar include $6,000,000 for a man and woman injured in an apartment fire, $6,000,000 for the family of a woman killed by a pizza delivery vehicle, $5,000,000 for the family of a young college student who was killed when a tire detached from a passing freightliner and struck her vehicle, and $2,800,000 for the family of a man struck and killed as he attempted to push a disabled vehicle out the way of traffic on the interstate. Prior to joining the firm’s Los Angeles personal injury attorney team in 2014, Mr. Dunbar had his own practice for a number of years and previously served as an attorney with the Beverly Hills office of Melvin Belli, Sr., a pioneer in the field of plaintiffs’ personal injury. Following Mr. Dunbar’s tenure with the Belli Firm, he became partners with David S. Sabih, a prominent trial attorney throughout the state of California. 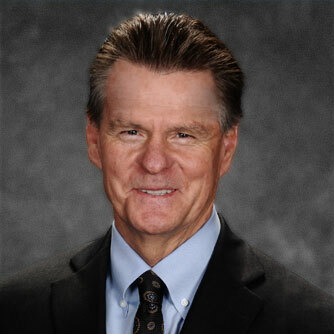 Mr. Dunbar is a graduate of Loyola Law School ’81 and California Polytechnic State University, San Luis Obispo ’78 and is an AV-rated lawyer — the highest rating established by Martindale-Hubbell. He has also been named a Southern California Super Lawyer since 2007 to present and is recognized among the Best Lawyers in America.